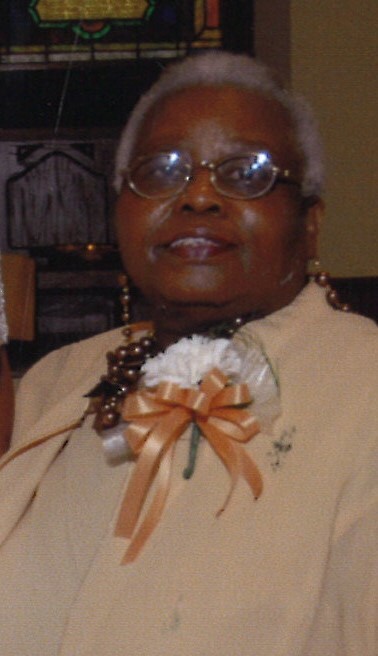 Ms. Greta F. Lemons, 70, of 1817 Lipscomb Road, Wilson, NC, passed away on April 14, 2019 at Wilson Medical Center. The funeral service is scheduled for Saturday, April 20, 2019 at 11:00 am at Stevens Funeral Home, 1820 Martin Luther King, Jr. Parkway, Wilson, NC. Pastor Maurice Barnes will deliver the eulogy. A public visitation will be held on Friday, April 19, 2019 from 2:00 pm until 6:00 pm also at Stevens Funeral Home. Ms. Lemons was preceded in death by her parents, David Faison and Pearlie Pope Faison and two brothers, James Faison and Darren Faison. She leaves cherished memories to: one son, Robert Lemons (Felicia) of Durham, NC; one grandchild, Zoe Lemons of Durham, NC; two sisters, Deloris Williams (Thomas) and Evora Farmer both of Wilson, NC; two brothers, David Faison, Jr. and Preston Faison, both of Wilson; three nephews, Cedric, Terry and Michael; eight nieces, Vanessa, Valerie, Phyllis, Denise, Milissa, Tiffany, Letitia and Tameka; sister-in-law, Peggy Faison; a host of other family and friends.